Baseball is a bat and ball game which is played mainly in the USA, Japan, and Latin America. The object for each nine-person team is to score as many runs as possible during its turn at bat, and to prevent the other team from doing so during its turn in the field. Ted Anthony. Washington Times. Monday, 22 Apr 2019 02:05:49 -0400. Eric Sondheimer. Los Angeles Times. Dom, 21 Abr 2019 12:10:00 PDT. 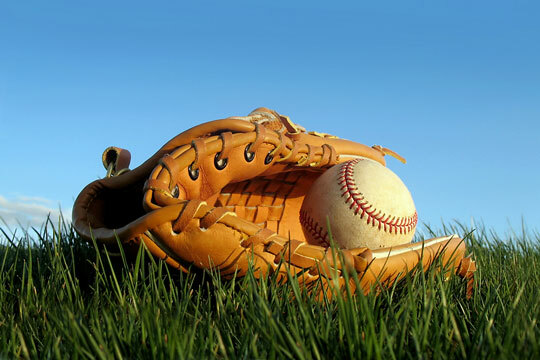 The sport of baseball has long been known as "America's favorite pastime." Almost everyone in America has participated in the game of baseball, from being a spectator at a professional game, playing on a recreational or varsity league team, or just joining in an impromptu backyard game of ball. In addition to players, all that is needed is a wooden or aluminum bat, baseball gloves, and 4 objects placed in a diamond shape at 90 degree angles to serve as home plate, 1st base, 2nd base, and 3rd base. 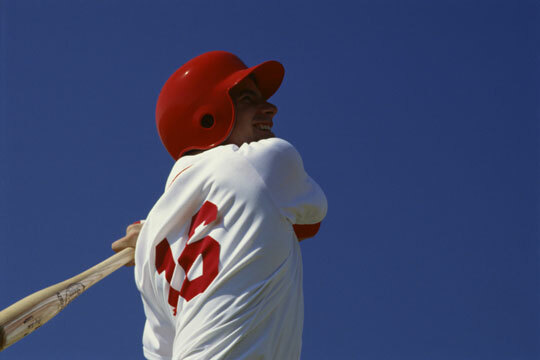 The first form of baseball may have been a game called "Stool Ball," played in the Middle Ages. Each batter tried to hit a pitched ball and run around three stools to the "homestool." In the seventeenth century, this game evolved into a game called "rounders," which utilized a diamond shaped field. The colonists in America played this game, which soon came to be known as "town ball," because every town had their own set of rules. Today, baseball's popularity is growing rapidly. The World Baseball Softball Confederation (WBSC) is recognized by the International Olympic Committee, and works to develop and expand this sport all over the world. A regulation game of baseball is played nine to a side, with each team consisting of a pitcher, a catcher, first, second, and third basemen, shortstop, and right, center and left fielders. The pitcher and catcher comprise the battery; first, second, third, and shortstop players comprise the infield, and right, center and left fielders comprise the outfield. Each team takes a turn at bat, and the goal is to score runs by moving around the four bases. The bases are located at the angles of a 90 foot square (also known as a baseball diamond). Foul lines begin at home plate and extend past first and third base for the entire length of the field. Each team attempts to score runs against the other team; the team with the most runs after nine innings wins the game. An inning is divided in half, with each team getting a turn at bat and in the field. For each turn at bat, the team is allowed three "outs" before they must take up defensive position in the field. A batter is called "out" when the pitcher gets three "strikes" on him. A strike is a pitch that crosses home plate in the "strike zone" or a pitch that is swung at and missed, or is hit into foul territory. A batter will "fly out" if he hits the ball into fair or foul territory and it is caught by an opponent before hitting the ground. 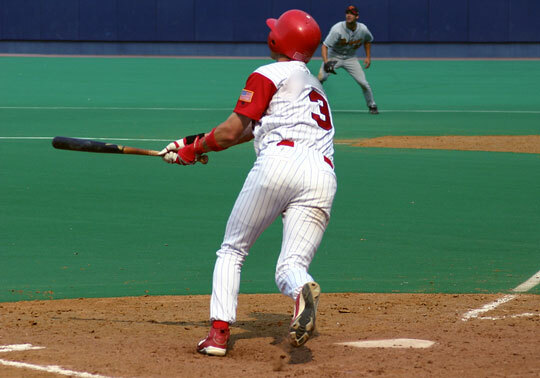 A batter can be thrown out when he hits the ball and it is retrieved by an opposing team member and thrown to the first baseman, who then catches it and steps on first base before the batter reaches it. A runner can be out when the catcher or a baseman receives the ball and tags the plate or the respective base before he gets there. A runner may be tagged with the ball while traveling between bases, or attempting to "steal" a base; this constitutes an automatic out. The pitcher throws the ball toward the catcher from a slightly raised mound located directly between home and second base, at a distance of 60 feet, 6 inches from home plate. 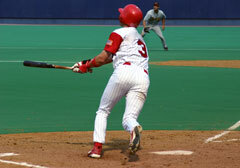 The goal of each batter is to reach base safely after hitting the ball into fair territory. If he reaches first base, the hit is known as a "single"; a second base hit is a "double"; and a third base hit a "triple." A hit that enables him to run around all three bases and come home is known as a "home-run," and scores a point for his team. A home-run may also be achieved by hitting a fair ball over the outfield fence. A batter may be awarded first base if the pitcher delivers four "balls," which are pitches that do not pass through the strike-zone. He may also move to first base if hit by a pitched ball, or if the catcher interferes when he swings the bat. It is the pitcher's goal to deliver the ball with accuracy, and with varying speeds and trajectories, in order to "strike-out" the batter. When a batter safely reaches base, he must depend on his teammates to hit the ball in such a way that he can advance. For example, he may be able to advance from first to second base on a hit that allowed the batter to take first. He may also attempt to "steal" a base, which occurs when he runs for the next base as the pitcher releases the ball, and reaches the intended base before being tagged out. An umpire-in-chief is positioned directly behind the catcher and determines balls and strikes. One or more base umpires determine whether runners are safe or out from the other three bases. A regulation baseball weighs from 5 to 5.25 ounces and is 9 to 9.5 inches in circumference. It is made of a cork and rubber center wound with woolen yarn and covered with horsehide. (Softball is a modified version of baseball, and uses a larger ball.) The baseball bat is a smooth, round, tapered piece of hardwood in professional baseball, although an aluminum bat can also be used. The bat measures no more than 2.75 inches in diameter at the thickest part, and is no more than 42 inches long. First basemen wear a special large leather mitt (glove), and catchers use a large heavily padded leather mitt as well. The basemen, infield, and outfield players use similar leather gloves which may be made for right or left-handers. The catcher must also wear a chest protector, shin guards, and a metal mask. Players wear shoes with cleats and plastic helmets while batting and running bases to protect against wayward balls. Professional baseball teams, as well as school and recreational teams have uniforms, which often consist of polyester/rayon/cotton blend pants and short-sleeve button-down shirts, as well as baseball hats in the teams' colors. Each player usually has a number and last name embroidered on the back of the shirt for identification. They may also wear shin guards for protection.